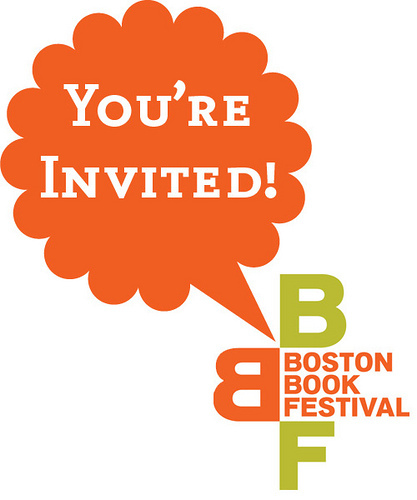 Elizabeth Alexander read at the recent Boston Book Festival. If her name sounds familiar, it's because Alexander wrote the inaugural poem, "Praise Song for the Day," for Barack Obama. The text to the poem is included in Crave Radiance. Alexander's latest book is Crave Radiance: New and Selected Poems 1990-2010 [811.54 ALE], and she read several poems from it at the BBF. What I like about Alexander's work is that she takes small bits and pieces of history and illuminates them. Here are a few poem titles: "Compass," about polar explorer Matthew Henson; "Affirmative Action Blues," about Rodney King; "Nat Turner Dreams of Insurrection." Alexander collaborated with poet Marilyn Nelson on Miss Crandall's School for Young Ladies and Little Misses of Color, and some of those poems are also included in the collection. If you don't know the story of Prudence Crandall, you can learn a little here. are young girls who do not think of such things. and white men, their red-devil eyes and tentacles. our mind with light and God's great face. something opening wide and bright, a key. Check out The Writer's Armchair for this week's Poetry Friday Round-Up. A fellow blogger, Jama Rattigan, alerted me to the fact that tomorrow is National Cat Day! As if I needed a special day to celebrate cats! Estimates reveal that there are approximately 4 million cats entering shelters every year with 1-2 million being euthanized. Yikes! Please consider adopting a cat! Ghosts! : Ghostly Tales from Folklore [E SCH]. 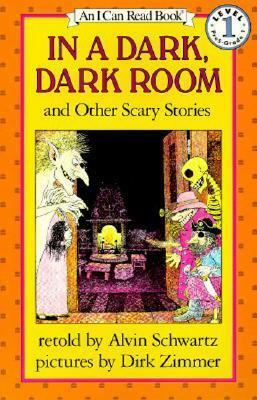 In a Dark, Dark Room, and Other Scary Stories [E SCH]. This title, and the one above, a written for the beginning reader, so they have just enough scary tingle for early elementary school kids. Scary Stories to Tell in the Dark [J 398.2 SCH]. 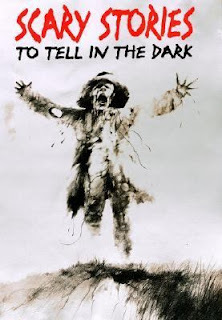 This, and the two companion books, More Scary Stories to Tell in the Dark, and Scary Stories 3: More Tales to Chill Your Bones, are classics for children. This coming weekend is, of course, Halloween! Halloween is one of those very popular holidays that has a gazillion books and films to accompany it. The children's room has many on display, so stop by. On Saturday, October 30th, the Friends of the Library of Windham (FLOW) are teaming up with our children's room to present a "Mini Fall Fun Festival." Festivities start at 1:00 PM with a reading of Littlebat's Halloween Story by my alter-ego, Diane Mayr [JP MAY]. Littlebat's Halloween Story was inspired by the bats who lived in the attic at the old library (before we moved to our new location in 1997). After the reading, books will be available for purchase and signing (supplies are limited). Other activities will be a cookie decorating station, face painting by "May Da Painta," necklace making, and pumpkin decorating. If we're lucky, and it doesn't rain, kids will be able to participate in an outdoor "Find the Candy in the Haystack." activity. Snacks will be provided, and door prizes awarded. Costumes are encouraged, but are optional. No registration is required! Plan to arrive by 1:00 to take advantage of all the activities that will take place. As always, we can only promise that food and crafts will be available "while supplies last." Start your holiday today by carving a virtual jack-o-lantern. Click here and have fun! Two months from today is Christmas! If you celebrate Hannukah, you have even less time--Hannukah starts on December 2! 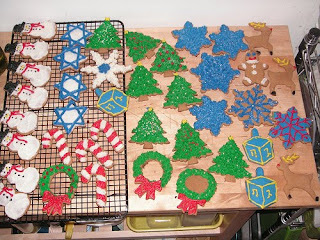 Oh, I bet you didn't want to be reminded of the rapidly approaching holiday season, did you? Well, sorry! Little Librarian is the first personal library kit made just for kids! It encourages reading and is powered by creativity and imagination, not batteries! Little Librarian provides book lovers with everything they need to transform their book collection into a library. For an adult, you could purchase a gift certificate to the Library Restaurant in Portsmouth. They promote themselves as "The Best Steak House on the Seacoast." How about a literature-related tee? Check out the offerings at Out of Print Clothing. The next suggestion is a real stretch, since the library tie no longer exists--Clue, the mystery game. It's not the game you knew as a child, the library is gone (replaced by the "theater"? ), but you may find it fun to see how the game has changed since the last time you played it. It would make a great family gift. This past Saturday I attended the Boston Book Festival. I was a little hesitant about traveling down to Boston after hearing that President Obama would be attending a rally at the Hynes Auditorium, which is just a few doors down from where most of the BBF venues were located. I decided that since BBF planners had estimated that 25,000 would be attending, that someone would be working to make sure that the festival wasn't going to be impacted! So, I traveled down on the T, and much to my relief, there were no problems at all with crowds. Other sessions I attended dealt with sports writing, specifically baseball, fiction, architecture, and, poetry. Surprisingly, the BBF was not prepared for the overwhelming response to a poetry reading by Edward Hirsch, Elizabeth Alexander, and Ellen Dore Watson. The venue was less than ideal, and people were turned away due to lack of space! Imagine that, turning people away from a poetry reading! I, however, got to the event a little early and snagged a seat in the second row, right behind the poets! Each of the poets did a great job, but, I especially liked Ed Hirsch's reading. He seemed quite comfortable and natural in front of the group. He read from his latest collection, which I'm happy to say we own, The Living Fire: New and Selected Poems 1975-2010 [811.54 HIR]. I've already featured one of the poems from this book, "Branch Library," on a past Poetry Friday. It was nice to hear Hirsch read it aloud on Saturday. Hirsch also talked about how he recently saw an animated version of one of his poems--it sounded pretty wild. Alas, I checked YouTube looking for it, but no luck. Here's a poem from The Living Fire that Hirsch did not read aloud, but is one that I wished he had! We also own Elizabeth Alexander's newest book, Crave Radiance [811.54 ALE], and I'll be looking at that title next week, so come back again. The Poetry Friday Round-Up can be found this week at A Wrung Sponge. 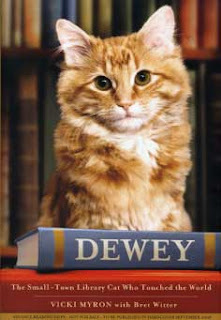 Dewey was a library cat who was found, as a kitten, in the Spencer [Iowa] Public Library's book return. He was given the unwieldy name of Dewey Readmore Books and he lived out his 19 years at the library. 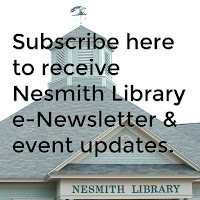 The town librarian, Vicki Myron, penned the bestselling book, Dewey: The Small-Town Library Cat Who Touched the World [636.8 MYR, also AB/CD 636.8 MYR]. The immense popularity of the book resulted in a Dewey website, spawned several children's books, and somewhere in the future, a film starring Meryl Streep. A new book, Dewey's Nine Lives, is a collection of stories about other cats that carry on the spirit of the gentle Dewey. Look for it to arrive here shortly. Perhaps most surprising of all is Dewey's adoption of social media. Penguin Books, the publisher, has set up a page, Dewey the Library Cat Community, where Dewey fans and cat fans in general, can share stories and photos. Here's a list you've probably never thought you'd see, Literature's 10 Best-Dressed Authors. Anaïs Nin--Cities of the Interior [F NIN]. Edmund Spenser--Saint George and the Dragon: A Golden Legend adapted by Margaret Hodges from Edmund Spenser's Faerie Queene [398.2 HOD]. Tom Wolfe--The Bonfire of the Vanities [F WOL]. 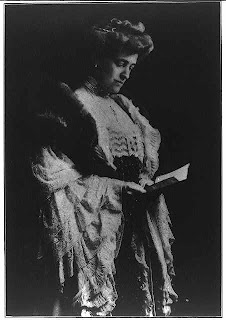 Edith Wharton--The House of Mirth [F WHA]. George Sand--My Life [B SAN]. Donna Tartt--The Secret History [F TAR]. Jonathan Ames--The Extra Man [on order]. Jane Austen--Pride and Prejudice [F AUS]. Oscar Wilde--Plays, Prose Writings and Poems [822 WIL]. New this year to the Macy's Thanksgiving Day Parade is a large inflated character from an extremely popular series of books by Jeff Kinney, which began with The Diary of a Wimpy Kid [J KIN]. To celebrate, the book's publisher, Abrams Books, is sponsoring a contest which is taking place through October 30. The winner will win a trip for four to New York City, and grandstand seats at this year's parade! Click here for details. 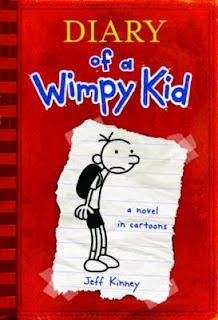 If you're not lucky enough to be the winner, you can still watch the parade on television, and curl up with one of the four "Wimpy Kid" series books in our collection [J KIN, also J AB/CD KIN]. On Saturday, a new exhibit is opening at MASS MoCA in North Adams, Massachusetts. The exhibit has the intriguing title, "Geometric Death Frequency-141" and is the creation of sculptor, Federico Diaz. Or is it...? So, who created the art? The vision is the sculptor's, the execution is the machines'. I'll leave it to you to decide who is the artist! For an entertaining look at robots, pick up Stanley Kubrick's 2001: A Space Odyssey [DVD TWO], WALL-E [J DVD WAL], or the tongue-in-cheek guide, How to Survive a Robot Uprising: Tips on Defending Yourself Against the Coming Rebellion by Daniel H. Wilson [817.6 WIL, also AB/CD 817.6 WIL]. 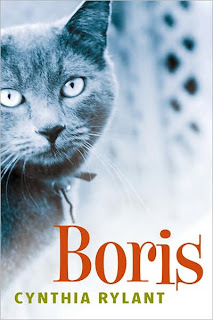 I'm sure I don't have to tell anyone that I'm a cat person, but somehow, I missed seeing Boris by Cynthia Rylant [YA 811.54 RYL] when we first got it back in 2005. I came across it on the shelves just the other day, and of course, I love it! Boris is a cat that Rylant found at a humane shelter. I have never been able to go to a humane shelter. "Never," is one of those words that often come back to haunt a person! Boris, and his sister, ended up going home with Rylant as you probably guessed. Boris, glad it wasn't you. To read the rest, you'll have to borrow the book. (Or buy it, I believe it's still available in paperback.) Readers will find that Rylant is a keen observer of cats, and, a fine poet! Visit with Liz Scanlon at Liz in Ink for this week's Poetry Friday Round-Up. On this day in 1982, the Broadway musical, Cats, opened. It closed nearly 18 years later on September 10, 2010! Despite its long run, it is only number 2 after Phantom of the Opera in longest running Broadway play! Cats was the winner of numerous Tony Awards in 1983. The play is based upon a work by poet, T.S. Eliot, Old Possum's Book of Practical Cats which is found in The Complete Poems and Plays, 1909-1950 [810.81 ELI]. The score is by Andrew Lord Weber and is available as a CD, Cats: Complete Original Broadway Cast Recording [CD BROADWAY CAT]. Kathryn Lasky. "The Guardians of Ga’Hoole" series. [J LAS]. If the list has you drooling, wait until you check out the full schedule of events! Since 1864, each state has been allowed to place two statues in the Capitol recognizing the contributions of their citizens to the history of our country. I had never heard this before and so I decided to look into it to determine what individual was representing New Hampshire. A simple online search revealed The National Statuary Hall and a further explanation of the Capitol's states' statuary. As you may have been able to guess, our NH statues are of John Stark and Daniel Webster. A memoir of John Stark is coupled with the writings of Robert Rogers in Reminiscences of the French War: With Robert Rogers' Journal and a Memoir of General Stark [973.2 ROG]. There is also a biography in the children's collection, John Stark: Live Free or Die [J B STA] by Karl Crannell. Daniel Webster is fully covered in both the adult and children's collections [B WEB and J WEB]. The Library is closed today in celebration of Columbus Day. "Why do we celebrate Columbus Day?" is a question that is raised yearly. There are two sides to every story, and we have plenty of library materials that explore Columbus, his discoveries and their aftermath, and the holiday. 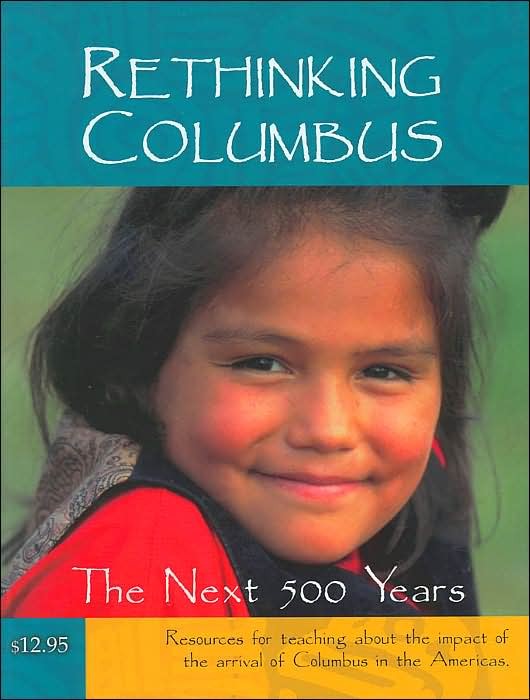 One such book is Rethinking Columbus: The Next 500 Years edited by Bill Bigelow and Bob Peterson [970.01 RET]. However you celebrate, or ignore, the day, have a safe one and we'll see you when we reopen tomorrow at 9:00 AM. 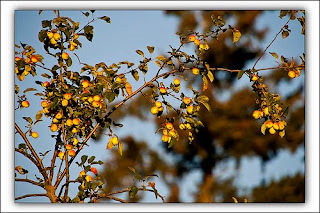 Poetry Friday--"Mine Host of the 'Golden Apples'"
Apple picking season is nearing its end, and to celebrate, I thought I'd share this old-fashioned poem taken from a book published in 1929, Our Holidays in Poetry, compile by Mildred P. Harrington [808 HAR]. It's found under the heading "Arbor Day." MINE HOST OF THE "GOLDEN APPLES"
That hung from a long branch, ripe and fine. With the best of fare, all fresh and free. And sang their best songs ere they flew. His own cool shadow over my head. A blessing be thine, green Apple-tree! 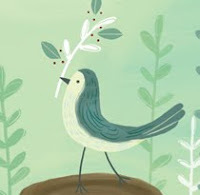 This week the Poetry Friday Round-Up is found at Biblio File. Have a great fall weekend! 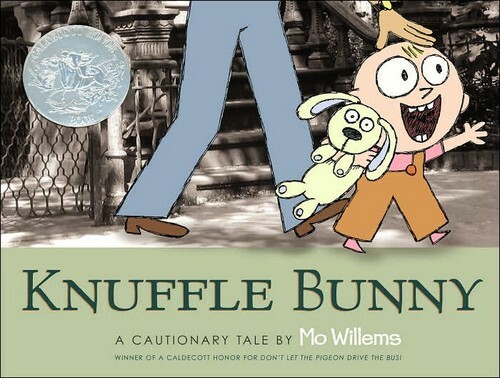 The newest Knuffle Bunny book by Mo Willems. It's called Knuffle Bunny Free: An Unexpected Diversion and is on-order and due to arrive any day now! There are two others in the series, Knuffle Bunny: A Cautionary Tale and Knuffle Bunny Too: A Case of Mistaken Identity [both JP WIL]. Sadly, Knuffle Bunny Free will be the last book in the series. Mo Willems explains why in a recent Publishers Weekly interview. If your favorite little one is a Mo Willems fan, check out GoMo. There you'll find games, short videos, and, the opportunity to win a life-sized Knuffle Bunny for your very own. If you're a fan, check out Mo's blog, Mo Willems Doodles. I hope you're heading out soon to one of the local "pick-your-own" apples places. Pretty soon the trees will be stripped bare. In my youth, there were 3 kinds of apples available for purchase--Macintosh, Delicious, and Cortland. Nowadays there are many varieties available, and, if you're like me, you have trouble trying to remember which varieties you've tasted and liked. I prefer my apples more tart than sweet, and I've been disappointed to purchase an apple variety that was wrong for me. In the grocery stores you often get no information whatsoever, other than a picture of a apple, which is kind of dumb since the apple is right in front of you. What I prefer is a simple statement of taste, such as "slightly tart." It also would help if the notation appeared about its suitability for cooking or eating. But, lacking all that at the grocery store, if I check out the website All About Apples, there is all the information I need, and more! Also, check out the DVD, America's Test Kitchen Season 7 [DVD 641.5 AME], and look for the episode entitled "Easy Apple Desserts." Julia Child has "Apple Dessert" on her DVD, The French Chef [DVD 641.5944 FRE]. I'm sure you've been to a hotel in which the bathrooms come complete with a dozen towels, and the ends of the toilet paper are folded into neat little triangles. The triangles are a nice touch. Instructions are included, but unless you read Japanese, you'll need to be a strong visual learner. I don't believe any of our origami books have instructions for folding ends of toilet paper, but they have plenty of other fun folding projects. Here are just two titles: Origami Greeting Cards by Isamu Asahi [736.982 ASA] and Origami Boxes and More! by Florence Temko [736.982 TEM]. Canada's largest bookstore, Indigo, gave out its Teen Read Awards on September 25. The awards were voted upon by teens, and thus are teen "choice" awards as opposed to awards issued by librarians and other adult judges. Best new writer: Fallen by Kate Lauren [YA LAU]. Best teen series: Vampire Academy: Spirit Bound by Richelle Mead [YA MEA]. Best lip lock: Bella & Edward from Breaking Dawn by Stephenie Meyer [YA MEY]. Best hottie: Jace Waylaynd from Mortal Instruments: City of Glass by Cassandra Clare [YA CLA]. Best book-to-flick: Harry Potter & the Half-Blood Prince by J.K. Rowling [J ROW, also YA ROW]. Best hero: Percy Jackson from The Last Olympian by Rick Riordan [J RIO]. Best villain: Alice Milthorpe from Prophecy of the Sisters by Michelle Zink [YA ZIN]. Best all time fave: Harry Potter & the Deathly Hallows by J.K. Rowling [J ROW, also YA ROW]. Best Canadian read: Darkest Power: The Reckoning by Kelley Armstrong [YA ARM]. And the prize for the BEST READ goes to The Hunger Games: Catching Fire by Suzanne Collins [YA COL]. 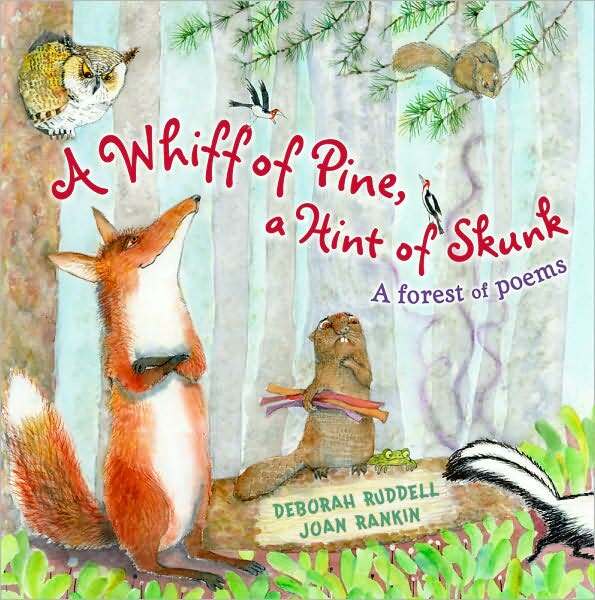 A Whiff of Pine, A Hint of Skunk: A Forest of Poems by Deborah Ruddell, illustrated by Joan Rankin [J 811.6 RUD] is the perfect collection to read after a walk in the now color-laden woods. Ruddell includes all the senses in the 22 poems that are included--from the sense of smell in the poem, "Eau de Forest: A Woodsy Cologne," from which the book's title is taken, to the sense of hearing in "Woodpecker Feud," to one of the more nontraditional human senses, the sense of wonder! Here's "October Surprise Party" for your reading pleasure. Enjoy! a shy hello and flaps her wings. as if they've planned it all for me. I hope you read this one out loud, it's full of alliteration and fun to hear. Head over to Biblio File for this week's Poetry Friday Round-Up.